America’s diplomatic relationship with the Philippines may have become strained since President Rodrigo Duterte took office earlier this year and immediately started slinging mud (and curse words) at President Obama. But apparently our fast food relationship with the Asian nation is doing just fine seeing as America’s largest Mexican chain Taco Bell just exclusively blessed the country with the holy grail of fast food items – a Cheetos-stuffed quesadilla. 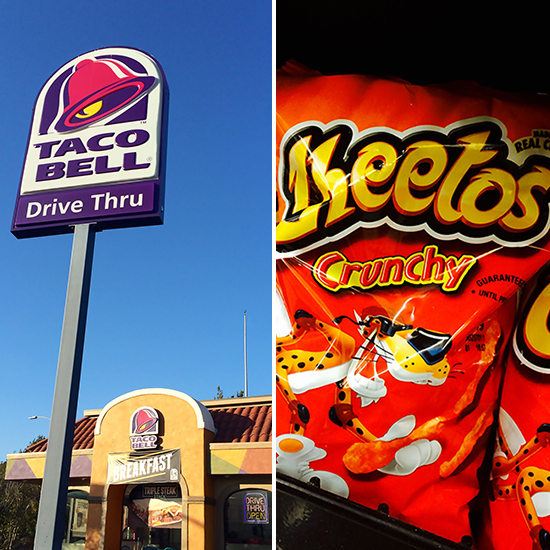 Back in July, Taco Bell in America began testing a Cheetos Burrito—as it sounds, a burrito stuffed with the additional ingredient of Cheetos. Canadians were unfazed: Taco Bells in our frigid neighbor to the north had been serving up a Cheetos-stuffed Crunchwrap Slider since back in February. But it appears Taco Bell saved its most blissfully simple creation for the Philippines: “Exclusively available in the Philippines,” at least according to Taco Bell Philippines’ Facebook page, the new Cheetos Quesadilla is the most basic combination of cheese on cheese, adding a crunchy Cheeto edge to the melted cheese-blend innards of Taco Bell’s usual quesadilla. Granted, the less easily excitable among us may wonder what the big deal is. As some sites have pointed out, why travel over 8,000 miles when you can simply buy a Taco Bell quesadilla, buy a bag of Cheetos, shove the latter in the former and make this ridiculously simple concoction at home? Granted, it’s not like the Cheetos being used at Taco Bells in the Philippines are sourced from local Cheetos artisans who have been supplying strictly regional restaurants with their handcrafted cheese powder-covered corn puff snacks for generations. Point taken. But if you start to overanalyze something like a Cheetos Quesadilla, it can lead you down a precarious path whereby the entire point of our modern reality is suddenly vulnerable to being torn asunder. So, uh, yeah, maybe its best that they’re testing these things on the other side of the globe – just in case it unleashes the downfall of humanity as we know it.